Le Cochinchine is a modern and tastefully designed river barge. Built in traditional style, Le Cochinchine measures around 30 meters long from bow to stern and has two 420 HP engines, one in back up, making Le Cochinchine a very powerful and safe river vessel. Thank you so much for the wonderful trip, the service was excellent and our guide very knowledgable and friendly. Fun, family time on the beautiful Mekong. We loved the new Vietnamese lesson. We will be back to see you again. 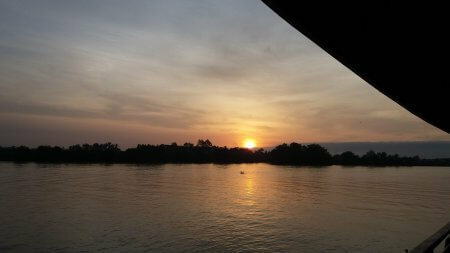 We had a wonderful cruise on the Douce Mekong. The staff was very professional and service minded . We throughly enjoyed every part of it. 7day cruises Saigon to Angkor private cruises, tailor-made cruises and more!